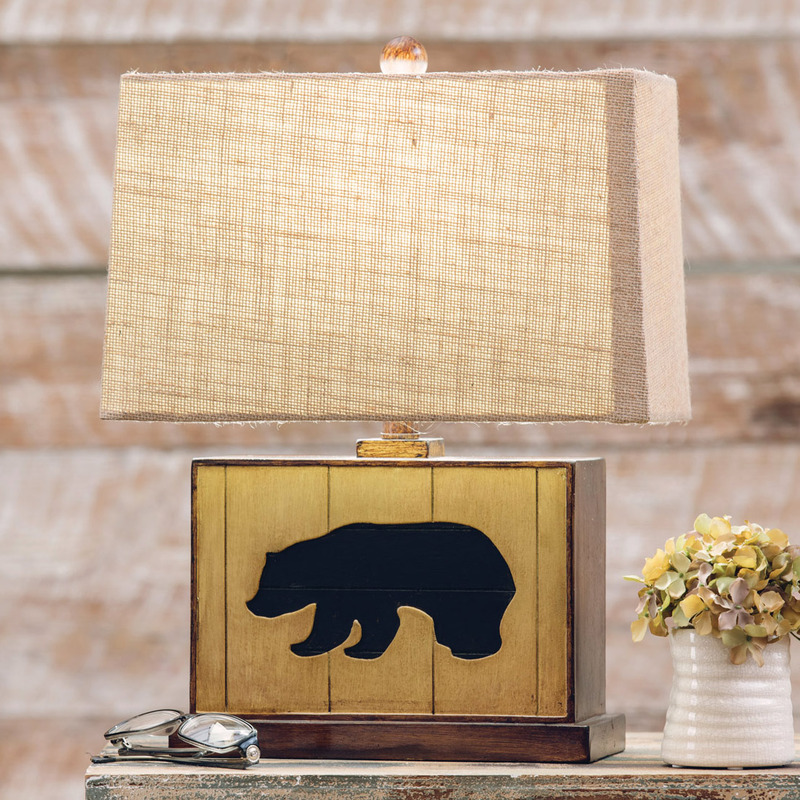 A Black Forest Decor Exclusive - This resin bear silhouette lamp with a wood panel�look and a burlap shade makes the perfect addition to your lodge room. Uses one 60-watt max bulb. 19 1/4"H.